William M. Mc­Corquodale was born May 13, 1899, a son of David J. and Frances (Howes) Mc­Corquodale of Lots 15 and 16, Concession 2. 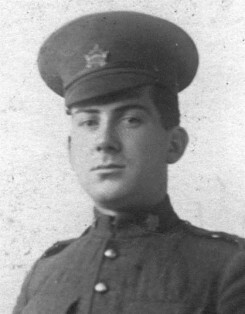 The family moved to Winnipeg after the death of his sister Annie, and that’s where William was living when he enlisted March 13, 1916. He listed his trade as a clothier cutter.